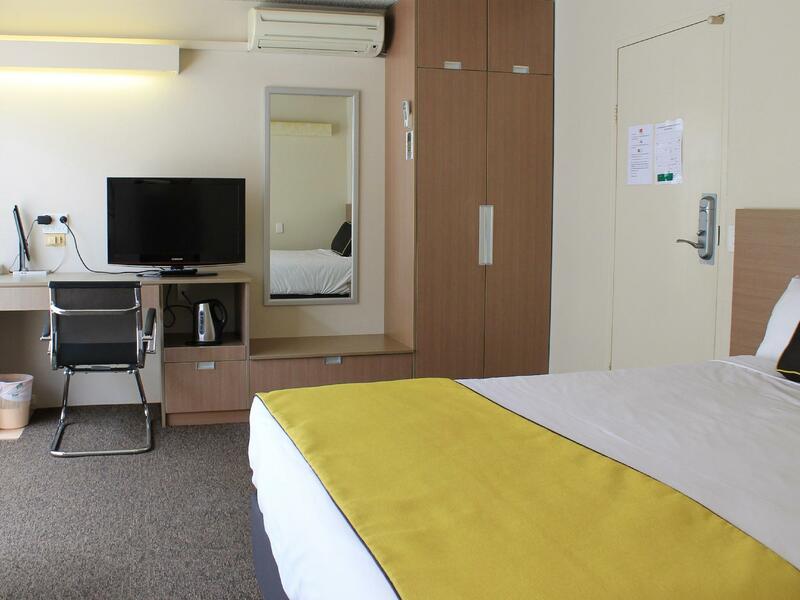 يشكل فندق Econo Lodge City Star Brisbane بموقعه الممتاز في قلب كانجرو بوينت نقطة انطلاق ممتازة لاستكشاف بريسبان. لا يبعد الفندق كثيراً عن مركز المدينة، فهو يقع على بعد 3.2 km منها. في حين يستغرق الطريق منها إلى المطار حوالي 30 دقيقة. كما يمكن الوصول بسهولة إلى منحدرات نقطة كانغارو, ‪St. Mary's Anglican Church‬, الكاثيدرائية الأورثودكسية الروسية لسانت نيكولاس. 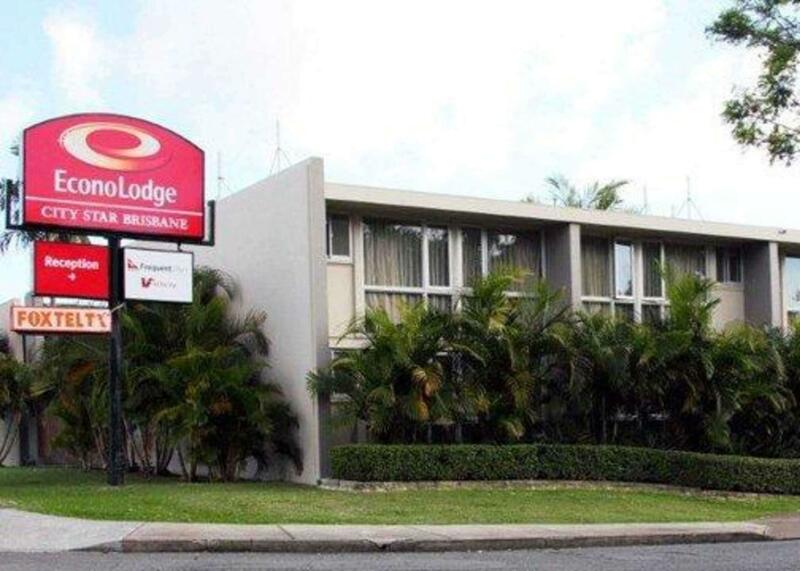 يقدم Econo Lodge City Star Brisbane خدمات لا غبار عليها وكل أشكال اللياقة وحسن الضيافة اللازمة لإسعاد ضيوفه. تتضمن الميزات الرئيسية في هذا الفندق: واي فاي في المناطق العامة, صف السيارات, خدمة الغرف, التوصيل من وإلى المطار, غرفة عائلية. استمتع بوسائل الراحة الراقية في الغرف أثناء إقامتك هنا. بعض الغرف تتضمن تلفزيون بشاشة مسطحة, اتصال لاسلكي بشبكة الإنترنت (مجاني), غرف لغير المدخنين, مكيف هواء, تدفئة لمساعدتك على استعادة طاقتك بعد يوم طويل. يقدم الفندق خدمات رائعة كمثل حمام سباحة خارجي, حديقة لمساعدتك على الاسترخاء بعد نهار طويل من النشاط والتجوال في المدينة. 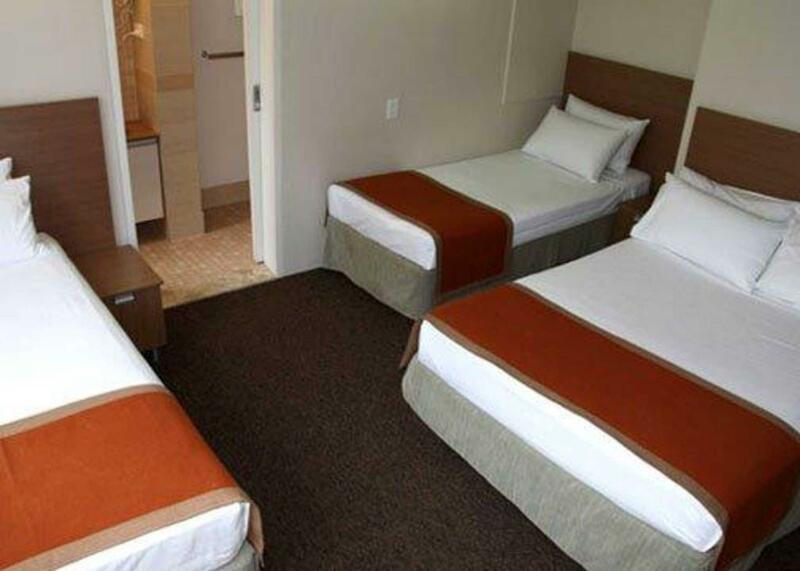 مهما كانت أسبابك لزيارة بريسبان، فإن Econo Lodge City Star Brisbane هو الخيار الأفضل لإقامة مثيرة وممتعة. يُرجى العلم بأنه تتوفر خدمة مساعد يتحدث لغة الماندرين كما تتوفر الخدمة باللغة الصينية. Nice stay but hotel could use some upgrading. We only stayed for a night as we were leaving early the next morning to the Gold coast. Rooms were nice, clean and comfortable. We stayed in a family room and size was perfect. There are a few restaurants nearby to go grab some food. Free parking onsite. Nice and friendly staff. Recommended. Everything I needed. Free basic Wifi on multiple devices no time or data limit. Good airconditioning. Pool. Close to IGA express , restaurants and transport. Most of our stay was lovely however the glasses were quite dirty with lipstick marks on them. Other than that we were very happy with the value for money and the staff were fantastic! After somehow making a mistake when booking, we were again reminded of this at check in. Staff were extremely keen to please but our request for an early check in was unable to be fulfilled. In a nutshell, the rooms are fairly basic. Insipid colours prevail. T.v. should be larger and wall mounted. Toilet seat does not stay up. Taps are oddly fitted. No good lighting in the room at all. The room was extremely noisy, picking up any voices and doors as well as stairway traffic. Piles of shoes and clothing in the passageways further complicated things and the super strong smell of Asian style cooking permeated every nook within the building. All public spaces were messy and a little crowded as was the undercover parking which contained many relics from motel operatiins. The bed was simply a rock. The location was not as good as the map predicted but okay. Again, the staff were complimentary and willing but someone with hospitality experience really needs to take this place by the scruff . We had a queen and a single bed, both beds comfortable, spacious room. Good shower. 5 mins walk across the road and up a short road/ hill to Kangaroo point cliffs. Dated, but clean. Friendly, helpfull staff. 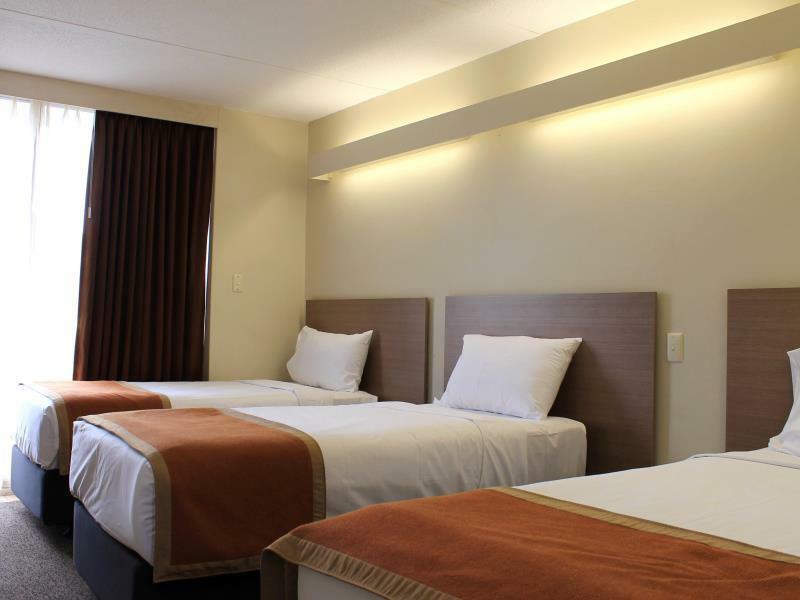 The rooms are clean, neat & tidy. They are supplied with towels, tea & coffee. 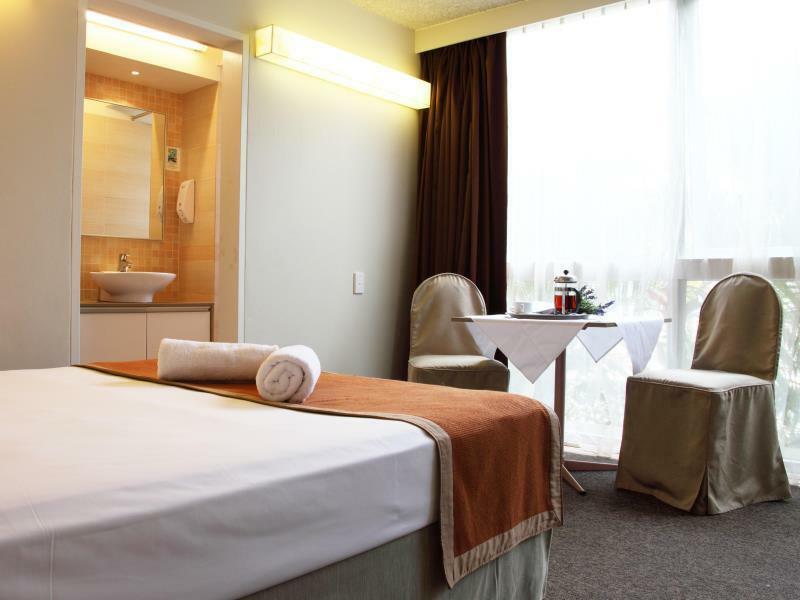 You also get a big screen TV and ironing facilities in your room & 6 hours WiFi a day. There is quite a lot of emphasis on being quite after 10pm, which is great for everyone. The staff are polite, informative, friendly & very accommodating. You couldn't really ask for anything else. I will definitely stay there again when visiting Brisbane. Best value and price, location was perfect it was clean and the staff were wonderful. What a great place to stay. The staff were so nice and very helpful, the apartments were very clean. The location was great as well and very reasonable prices.. I highly recommend Econo Lodge as a place to stay and will defiantly be staying there again..
Only one problem, the Pool operating Hours start at 7am - A family with 4 kids started using it at that time, just like it was Wet n Wild....Staff informed and said they would consider my concern. Great stay - hotel reception staff were friendly helpful and accommodating. Did not make use of a lot of the facilities as we were only overnighting but I will definitely go back and also recommend it on to friends. The counter staff was really friendly and helpful, giving us some guides on how to get around. Price is very reasonable. Good location, friendly staff. Hotel is showing its age and style is dated and some furnishings are passed their due by date. Shower head was falling off, tiles in bathroom cracked, and grouting needed repair. However it was clean and comfortable and the price reflected the value. The room was very clean and spacious. The staff were very friendly and helpful would definitely stay again and recommend. Only a short stay but we had everything we needed to ensure it was a good one, facilities in room were very good. Everything was quite comfortable. The room is big. The aircon is cold. The location is superb (next to bus stop, 20 minute bus ride to CBD). The toilet is clean. The water in the bathroom is strong. The only negative point was the bed. The bed was very bad (the spring was old and got bended easily).